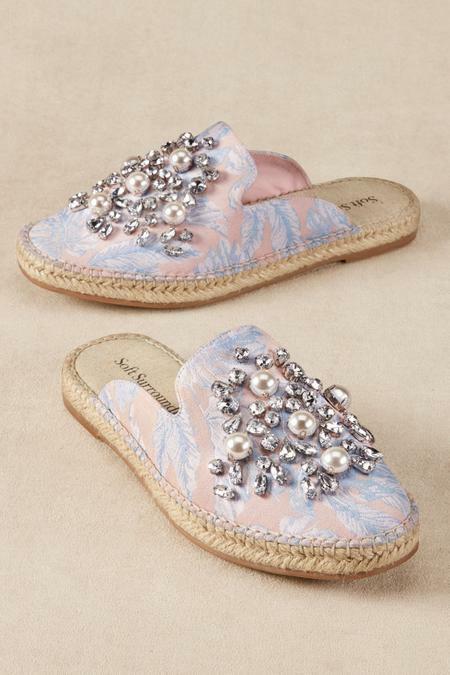 Every step will sparkle in these luxe slides, bejeweled with pearls and rhinestones. Choose soft pastel brocade in a leafy design with textural jute trim or lavish florals on rich navy. Both handcrafted styles have a cushiony footbed for miles of comfort. 1/2" heel.